Grab some friends and go on a wine adventure of local wineries at downtown Kirkland businesses. 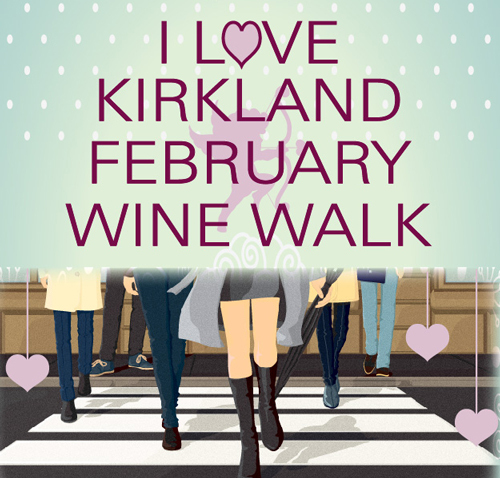 Meet the winemakers from 13 wineries and 2 breweries and sip, shop, stroll, and sip some more thru scenic Downtown Kirkland, a vibrant waterfront destination !! Located on the shores of Lake Washington just east of Seattle. This event is a fundraiser for The Kirkland Chamber of Commerce & Kirkland Downtown Association and is a 21+ Event. GA ticket holders’ wine adventure commences at 6 PM at the Heathman Hotel. Online purchase of tickets are available at $25. Early Bird ticket holders beat the crowd and may purchase their tickets online for $35. Early Bird Wine Walk begins at 5:00PM. You will receive a complimentary tasting Govino glass sponsored by Fairway Mortgage and 12 tasting tickets. The event begins at The Heathman Hotel, 220 Kirkland Avenue, Kirkland, WA 98033. Pick up your event map and list of each local wine being tasted at 15 downtown locations. This event has sold out 5 times in a row, so buy your tickets now!